Congressional candidate Daniel Edmonds issued the following press release today. MORRIS, OK – Daniel Edmonds, Republican candidate for Oklahoma’s Second Congressional District offers the best chance for Republicans to defeat current Democrat Congressman Dan Boren, according to Public Policy Polling, a national political polling firm. Results of the recently released poll show Daniel Edmonds as the leading Republican candidate and the best candidate to run against incumbent Boren. Edmonds received a significantly higher vote percentage than any of the other Republican candidates. He also kept Boren’s vote percentage substantially under 50% which was the lowest in the poll. Daniel Edmonds is leading the way with the highest name recognition of the Republican candidates as well. To view poll results, visit http://www.publicpolicypolling.com. 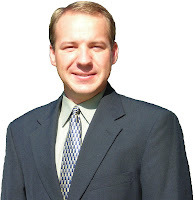 To learn more about Daniel Edmonds and his current campaign for Oklahoma’s U.S. Congressional District 2 Seat, visit http://danieledmonds.org. You can view the PPP poll results in our post here, and you can read my analysis here. Go Edmonds! Keep up the good work.